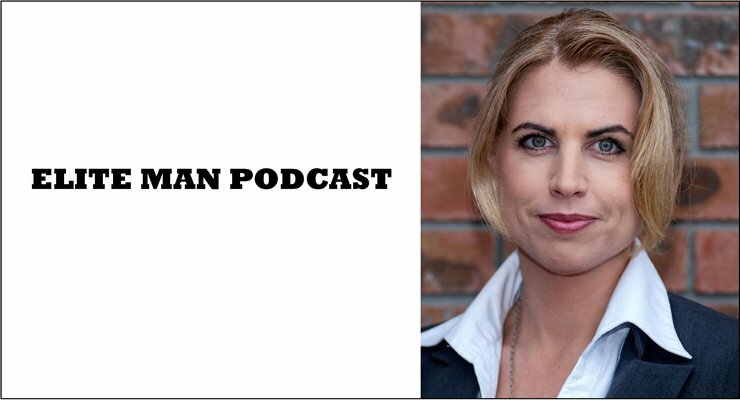 Liz Parrish, humanitarian, entrepreneur, innovator, and a leading voice for genetic cures, joins our show in this special episode of the Elite Man Podcast! In today’s episode Liz talks about gene therapy and the remarkable new advances in this technology over the last few years. She dives into how it works, what’s currently possible, and what will be possible in a very short time. Liz talks about what diseases may be reversed and eliminated altogether in the very near future, how she’s been able to build muscle without exercising, and how she plans to dramatically lower if not end aging, once and for all. 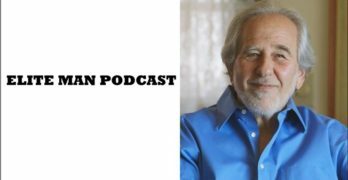 If you’re wondering how you can become a superhuman in the next few years and grow taller, stronger, faster, and just look downright sexier by changing and injecting specific genes, check this episode out now! *Have you joined the Elite Man Newsletter yet? If not, get on it now! Go to EliteManMagazine.com/newsletter and sign up to get special Elite Man content not seen nor heard anywhere else. 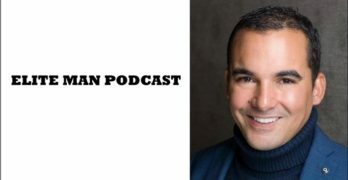 Get all of our bonus podcast information, sneak peaks into upcoming shows, behind-the-scenes content, special offers, and exclusive Elite Man updates you won’t find anywhere else. I’m telling you if you’re not on our newsletter yet you’re missing out. Go to EliteManMagazine.com/newsletter and become a true member of the Elite Man Community. I look forward to speaking soon. EliteManMagazine.com/newsletter. *Crickstart makes organic snacks with cricket powder and plant-based ingredients. This cricket powder is made from organically farmed, free-range crickets! There other ingredients include foods like seed butters, hemp, chocolate, and dates that are all organic too. The bars are delicious, better than so many other protein/meal replacement bars I’ve had and have absolutely none of that chalky taste you usually get in those bars. I actually really love these things. And yes, I know what you’re thinking… “Justin, seriously, crickets dude? What’s the deal with that?” And trust me, I thought the same thing at first, but once I tried my first bar I was absolutely amazed at how good these things really were and after that it became completely normal for me to put down a few of these bars throughout the day (and some of their delicious cricket-packed crackers for that matter too). Crickstart’s bars have a very balanced macronutrient profile so they make a good pre- or post-workout snack, or even just a snack at the office or on the go. I was blown away by the nutrition facts panel on these products; you can check them out for yourself on the Crickstart.com website. What’s great about crickets is that they’re high in protein (twice as much as beef or chicken), with all 9 essential amino acids (necessary for muscle growth and repair among other things) and in vitamin B12 and iron – so they provide all the nutrition you get from meat, without many of their downsides. For the same amount of protein compared to beef, crickets require 12x less feed, 2,000x less water, thousands of times less land, and they emit 100x less greenhouse gases. There are over 40 crickets in every Crickstart bar and over 100 in every cracker bag, and trust me when I tell you this: They taste delicious! Visit Crickstart.com right now to get your own Crickstart bars and snacks and use the coupon code “Elite” at checkout to get 20% off your purchase. Again that’s Crickstart.com and the coupon code is “Elite” for 20% off. *If you love the Elite Man Podcast one of the best things you can do to help support the show is simply tell a few of your friends about us! 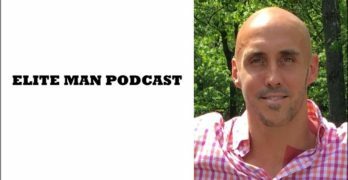 That’s right by sharing the Elite Man Podcast with one or more of your buddies you can give them the awesome tools and resources you get each week AND help us out on top of it by sharing our message with the world. It’s a win-win for all. You get to continue to be an Elite Man, they get to become and Elite Man, and we get to continue to grow and produce these fantastic episodes! So, if you’re loving the show tell a few of your friends at work to give us a listen, a few of your buddies at the barbershop, a couple of gym friends, and of course your very best friends anywhere! We truly appreciate you helping us out and supporting the Elite Man message! Take care and continue to be an Elite Man! 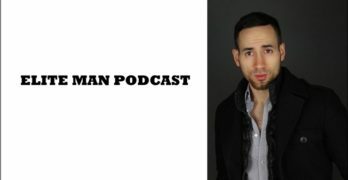 Please get Andrew Tate on your Podcast. Hey man, what does he do? And what do you think makes him a good fit for the show?